Students who attend FAU quickly discover that college isn’t all fun and games; success in the classroom requires dedication. At the same time, there are many other opportunities to get involved and enjoy these four years including football games, Greek life, and outdoor activities. A student needs to be able to balance all of this, which can prove daunting to many; However, tutoring is a great option to provide a little extra help. Tutoring isn’t just for classes a student may be struggling in; peer groups are beneficial to students who enjoy studying together or working through problems together. If your student mentions that they are having difficulty, there are many places they can turn including speaking with their professor and/or teacher assistant. There are also peer study groups. FAU offers many options to students to help them succeed in their classes. The Center for Learning and Student Success or CLASS, is a great place to start if your student finds that they are struggling in a class. CLASS offers information on various programs found around campus including SI instruction, tutoring, and E-tutoring. SI instruction is a supplementary instruction program run by peer tutors. These sessions are available weekly for classes that are historically difficult for students to pass. For example, science courses tend to have large and well attended SI sessions. The availability and schedule for the SI session are available online at the beginning of each semester. 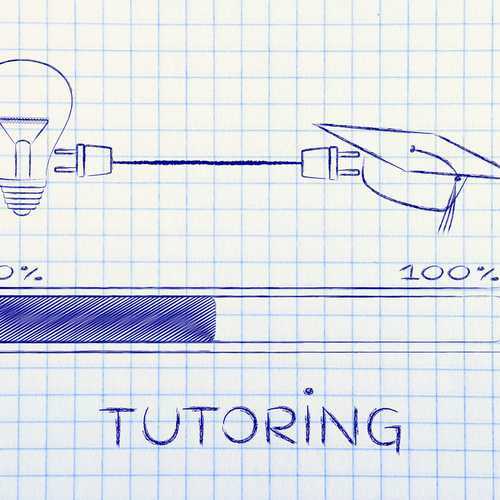 For a more one-on-one experience, students can seek out a tutor. FAU has private tutoring or small group sessions. The tutors are peers who have received a grade of an A or higher when they completed the course. Tutoring appointments are booked online and usually is held in the math or writing learning center on the second floor of the breezeway. To find available appointments, use this online booking portal. FAU also offers walk-in tutoring in the General South building. They have tutors in every subject. All a student needs to do is sit down at a table, sign into the database using their student ID and a tutor will walk up to you when they are available. They also have tutors there for a specific class (they have signs on the table) where you can meet one-on-one or do a group session depending on availability. HaveUHeard that you should go in during the morning to beat the lines and try to get personal attention? FAU also has tutoring programs available to students who take online courses. E-tutoring makes it easy for distance learners to get help. E-tutoring is often done over Skype. Finally, the most immersive form of extra help available is in FAU learning communities. FAU learning communities are available to first-year students only. The groups are comprised of 20-25 people that all have the same major, these groups allow for students to make friends and form study groups easily.